Garfield Park Conservatory Alliance (GPCA) is hosting a member’s event on September 17, 2014. 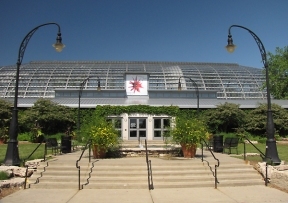 Garfield Park Conservatory Alliance Members-Only Movie Night, showing WALL-E, in the Great Lawn at Garfield Park Conservatory will take place at the conservatory on Bluestone Terrace. Check-in begins at 6:45p.m., screening begins promptly at 7:30p.m. To register, you must be a GPCA member, email membership@garfieldpark.org with member name and number of adults/kids attending. For more information, visit www.garfieldconservatory.org.